The Global Warming Policy Foundation is celebrating the life of Professor David Henderson by launching a major prize in his memory. The Henderson Prize has a value of $5000, and will be awarded for outstanding contributions to the field of climate economics. Professor Henderson was the Chief Economist at the OECD from 1983 until his retirement in 1992 and one of the moving minds behind the Global Warming Policy Foundation. He continued to play an active role in the GWPF’s work and activities until shortly before his death last year. 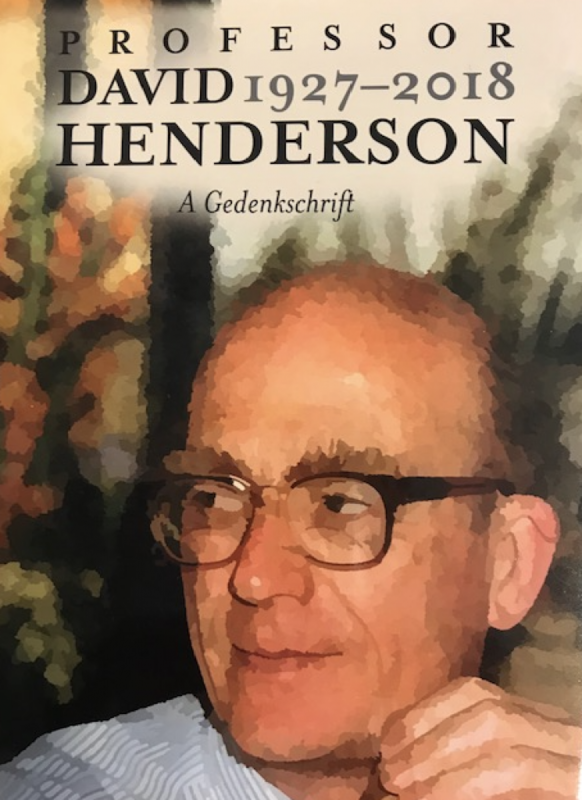 To mark Professor Henderson’s passing, GWPF is publishing a Gedenkschrift – a volume of tributes from colleagues, including Sir Ian Byatt, Lord Lawson, Lord Donoughue, and Professor Richard Lindzen, together with some of his key contributions, including the famous “Dual Critique” of mainstream thinking on climate science and economics. Professor David Henderson: A Gedenkschrift can be purchased online, and will be available more widely in due course.